Kuala Lumpur: It started with another late-night phone call, another rush to the airport, where familiar faces in a familiar setting tried to make sense of nearly 300 more lives lost in the second disaster to strike Malaysia Airlines in the space of just a few months. "For something like this to happen, just four months after MH370, just when we were beginning to get on with life, it is just very difficult to take," one airline executive told Reuters at the Kuala Lumpur International Airport, sobbing as he spoke. On Thursday, the news began to filter in just after 11 p.m. local time that something had gone wrong with Flight MH17 scheduled from Amsterdam to Kuala Lumpur. Soon after, Malaysian Airline System Bhd executives were awakened and dispatched to the airport to help set up emergency operations, according to interviews with company officials. "When we entered the room, we looked around and saw the same colleagues, the same familiar faces, that we saw during MH370," said one government official. "And almost everyone was sighing. Gosh, we could not believe that something like this was happening once again." 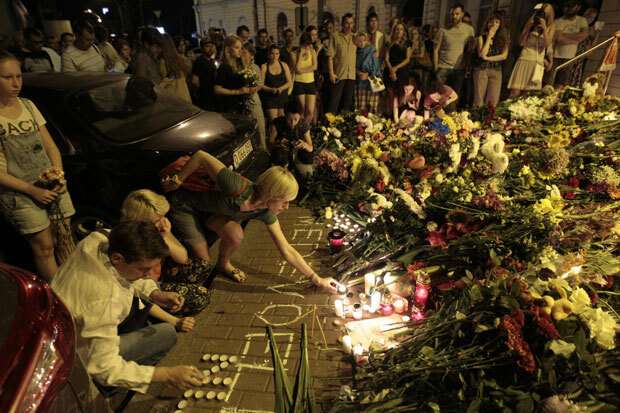 By 11:30 p.m., Malaysia Airlines (MAS) officials knew from television footage and then confirmation from Ukraine authorities that the plane had gone down. The airline announced on its official Twitter feed that it had lost contact with the aircraft - a change from the March disaster when it was roundly criticised for waiting six hours before acknowledging MH370 was missing. "People knew the drill this time around – everyone was focused on what they had to do," the government official said. "MAS, the government, the different agencies, the politicians. Everyone had a role and they knew what it was." This time, the decision was made early that there would be only one spokesperson - Transport Minister Liow Tiong Lai, who was had only been appointed late last month. Before dawn, Prime Minister Najib Razak spoke with U.S. President Barack Obama and issued a detailed statement spelling out what had happened and vowing swift justice for the perpetrators. Oliver McGee, a former senior U.S. Transportation Department official, said it was unprecedented for a commercial airline to suffer two tragedies in such rapid succession with more than 530 people dead. "Malaysia Airlines is now in the fog of the greatest crisis in international aviation safety and security history," McGee said. "I don’t see how Malaysia is going to recover from this as a firm."